I have an Inspiron 17R SE 7720 and ti works great however when I plug it into an external monitor LG W300H the resolution displayed is quite low. I try to choose a higher one but there are no options for higher resolutions. It's actually quite a bit lower than the resolution displayed on the laptops own screen. Please install the same and check again. I just installed both of these drivers and the problem is still there. The mobile PC display resolution is at 1920x1080 but the external monitors only goes up to 1280x800. On my old computer I used the monitor at 2560 x 1600 so i know the problem isn't with the monitor. I would like to inform you that this might be happening because external monitor might be using Intel display adapter only and not the Nvidia one. 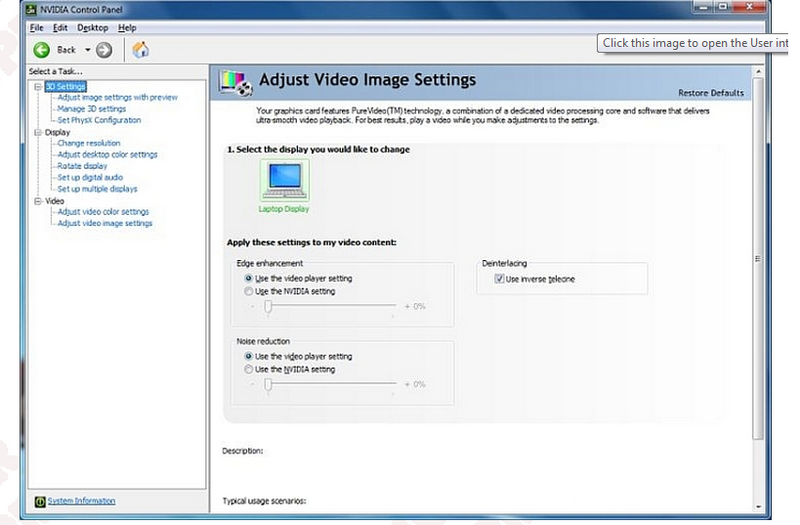 Please check in Nvdia control panel and select Nvidia card for the external display and check again. How do I do that? I open Nvidia control panel but I don't know where this option is. Also, try and disable the Intel graphic card from device manager and then try to connect the external display. I appreciate the time and effort that you took to troubleshoot the issue. Please contact me through a private message by clicking on my name highlighted in blue. On the next page, click the envelope icon and provide your service tag and contact information so I may access your system records. Hi, what was the solution to the problem ? I have the same problem.